LAWTON, Okla._Two children and a woman were sent to the hospital after a crash in west Lawton Wednesday morning. It happened just before 8:30 a.m. Wednesday. 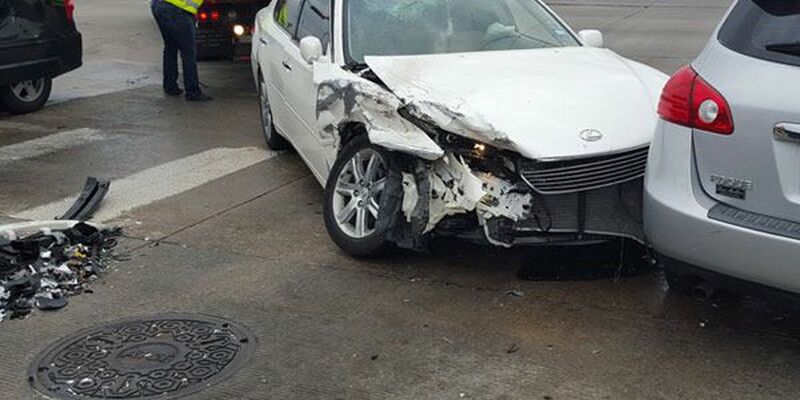 Police say a woman was eastbound on West Gore Boulevard in a white car when she failed to yield as she was turning north on to Northwest 38th Street. The driver of a westbound minivan ended up hitting her car in the middle of the intersection, which then pushed her vehicle into a car at a stoplight in the southbound lane of Northwest 38th Street. Two children in the minivan were taken to the hospital as a precautionary measure. The woman in the white car was taken to the hospital with minor injuries.